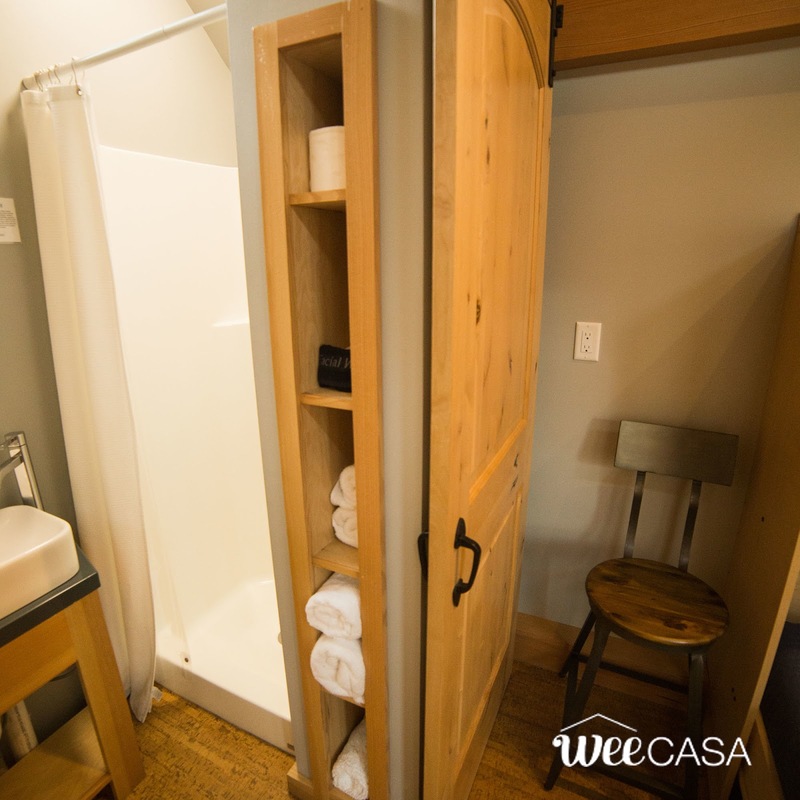 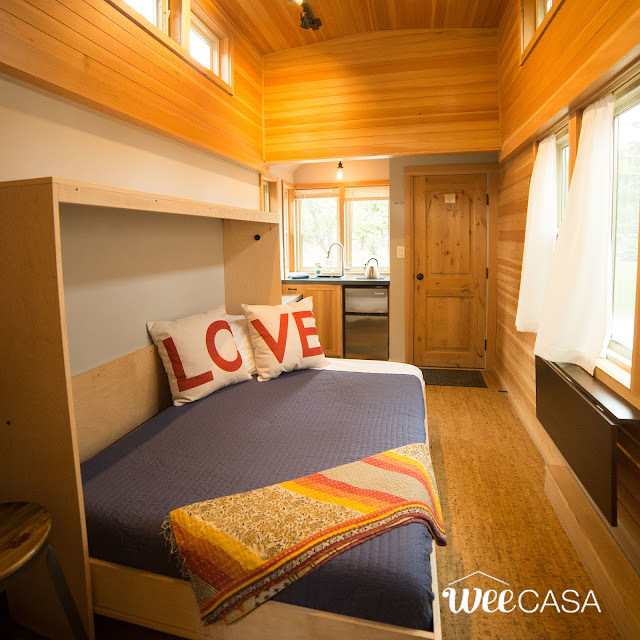 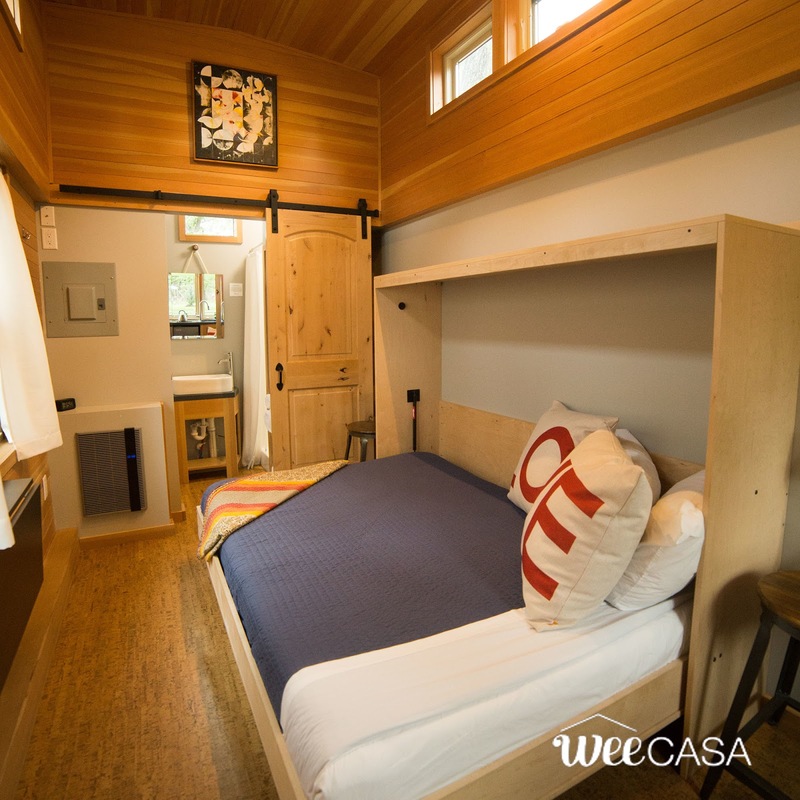 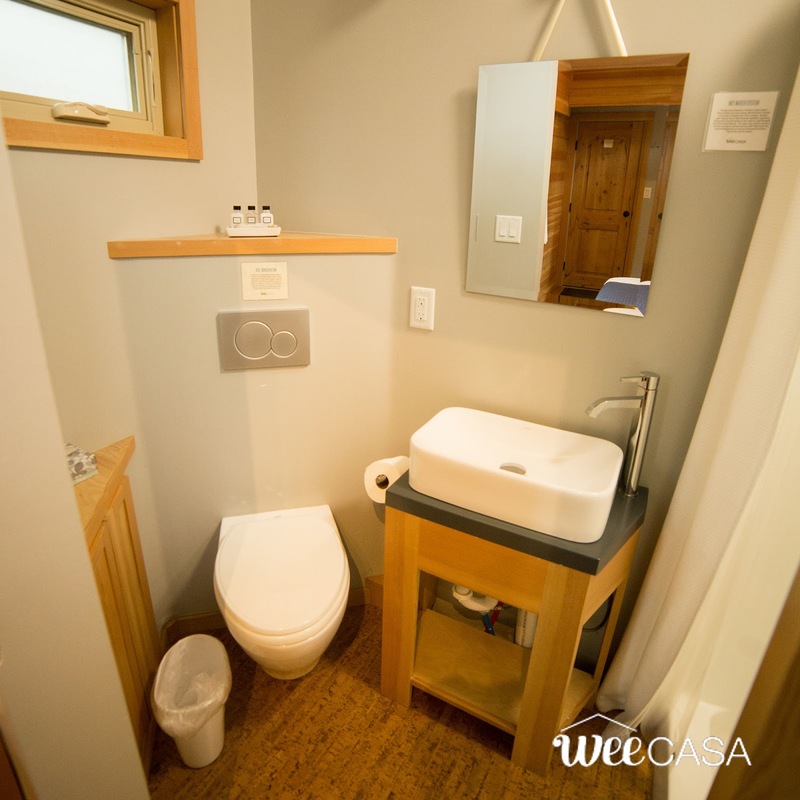 A cozy and rustic getaway, available at the WeeCasa Tiny House Resort in Lyons, Colorado! 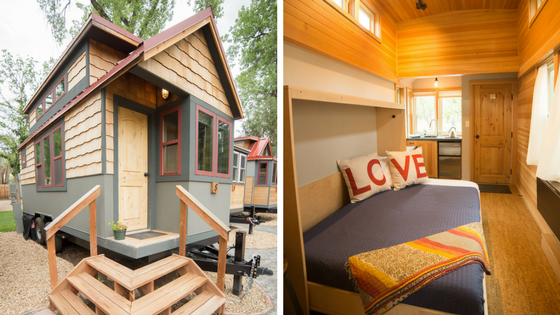 Named "The Cherry Birch", the home has a 165-sq-ft layout with loft loft, high wood ceilings, and cork floors. 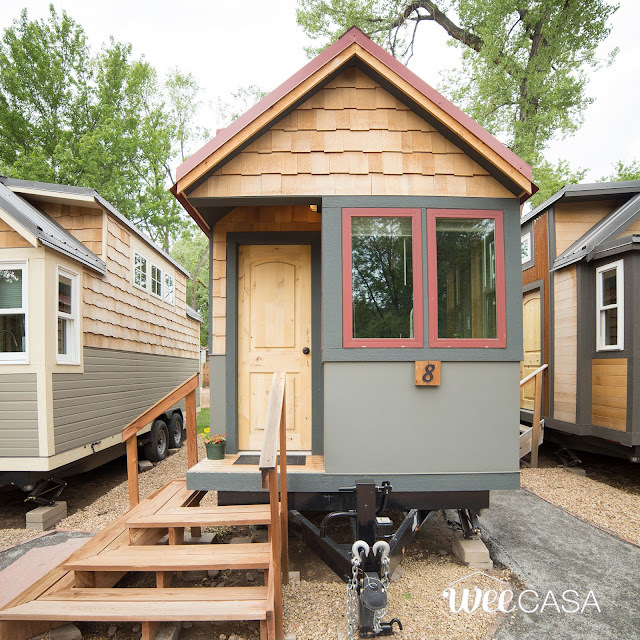 It's similar in look and style to another WeeCasa home, the Heritage River Birch. 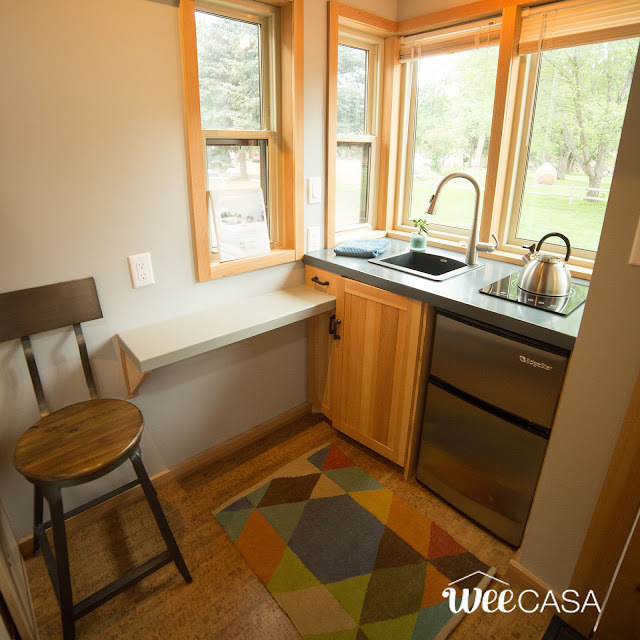 Also included in the home is a kitchen with a single-burner induction cooktop and a mini-fridge. 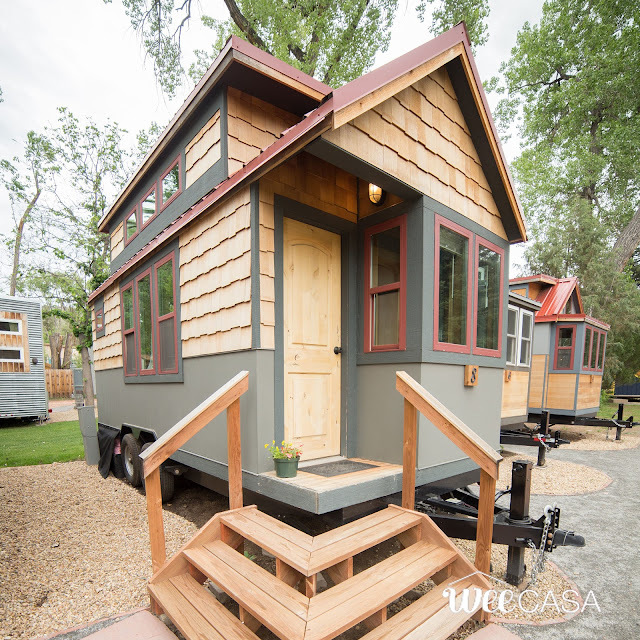 The Cherry Birch is currently available for rent here for $109 a night!